Drama. Investors are having a busy weekend and they’re worried about Monday, October 13, 2014. Will it be another day of infamy, the like of which we haven’t seen in five years? Five years to get ready for it, and only 48 hours to wait for it, and it might be gone in 60 minutes (Business Insider, October 10, 2014, STOCKS CRUSHED, DOW FALLS 335: Here’s What You Need To Know). We’re not going to be popular for our view, but they ought to know that investing is not the Olympics, and that the NASDAQ is not the NASCAR (two of the letters are different, but please check out the links if still apprehensive). But we’ve been waiting and ready for this day every day since 2009, and it shows in the chart on the left as the number of “deemed” investment grade (B)-class companies has risen, and risen, and risen, and … (wait for it) is now falling – but how far will it fall, if at all? And that’s what really worries them – it might not fall far enough, fast enough, and their cash positions (net of the margin accounts) are just “money” but the price of stocks and income is still rising (possibly), and where is the “recession” when we need it? 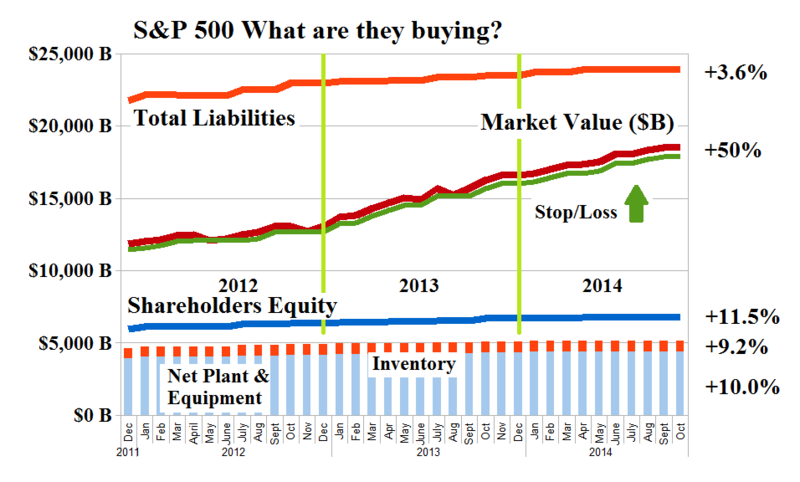 Figure 2: S&P 500 What are they buying? Despite the Dow up +50% and the S&P 500 up +50%, and so forth, the companies that they’re buying and selling have hardly changed at all – please see Figure 2 on the right – and they’re not going to change this weekend, or the next, or the next two years, no matter how many fans, or not, they have on Wall Street. The companies are growing at 3% rates, but the investors are “growing” at 15% rates, and don’t want to miss anything, we guess. And most of them won’t miss anything, but their money; please see our Post on “(P&I) The God Stock (Econo-speak)” for the reason why. And for more information and background, please see some of our recent Posts such as “(B)(N) NYSE Pulp Fiction” or “(B)(N) BlackRock’s Broken Bond Market” and we like the income stocks in “(B)(N) More Money, Please (REITS)” for all seasons. And for more information on the “Five Equations of State”, and an introduction to the terms that we have used here, please see our Post “(B)(N) Through the Looking-Glass“, and for the really hard rocks, the Theory of the Firm which is based on The Process.